Household plumbing pipes, drain pipes, and sewer lines can all begin to leak. Leaks can range from a minor drip to a burst pipe that’s flooding an area of your home, but either way, water leaking from your plumbing is never good news. Although major leaks can make themselves noticeable right away, smaller drips can persist for weeks or months unnoticed, slowly wasting water and damaging their surroundings. 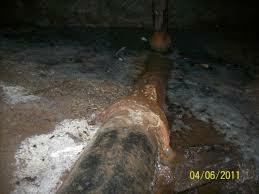 At A1 Sewer & Drain, we specialize in sewer leak repair and drain pipe leak repair in NJ. Our team of expert plumbers are all trained in how to identify and fix leaks, which can have any of several different causes. We also offer general plumbing pipe leak repair. To find out more about drain and sewer leak repair services in NJ, call us any time at A1 Sewer & Drain. When you have a leaking pipe in your home, you’ll need professional water leak repair from an experienced NJ plumber. Although some leaks, like a u-trap beneath a sink, are easy to access and fix yourself, this isn’t always the case. The vast majority of plumbing in your home, especially sewer lines, is hidden and hard to access. Plumbers often need to go behind walls or above ceilings to fix leaks, and sewer pipe water leak repair requires specialized equipment. At A1 Sewer & Drain, we’re available 24/7 for emergency plumbing pipe leak repair in northern NJ. Don’t let water leaks waste you money and damage your home: call us any time for 24-hour plumbing leak repair in New Jersey. When you have water leaking from a plumbing pipe, you need to call a plumber as soon as you notice a problem. The longer the problem goes on, the more expensive it can get. According to EPA statistics, 10% of US homes have leaky pipes– and those pipes can waste up to 90 gallons of water a day. 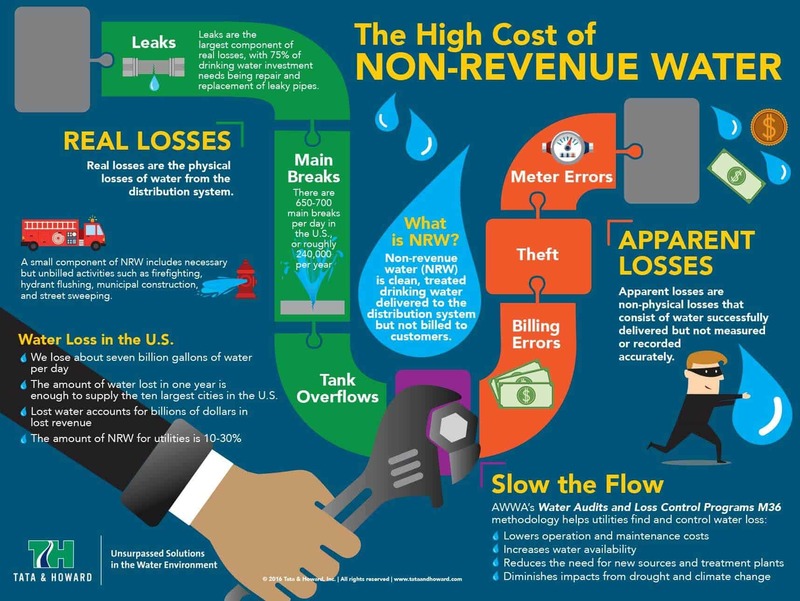 Fixing plumbing leaks can save hundreds, even thousands, of dollars off your water bill– not to mention avoiding potentially costly water damage. Water leaks can produce obvious signs like the sound of running water, dripping or moisture, or– in a worst-case scenario– a flooded basement or bathroom. However, the vast majority of plumbing leaks are small enough that they easily go unnoticed by busy NJ homeowners. 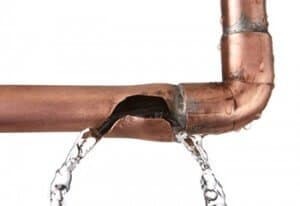 There are a few common warning signs that almost always indicate that you’ve got a leak somewhere in your household plumbing. A sudden hike in your water bill. When your bills go up, it might not be because the local utility company decided to suddenly raise their rates. In many cases, it means that water leaking from a pipe somewhere is wasting water. If you’ve ruled out other possible causes of higher water bills, you may want to call a plumber for water leak repair. Discolored, moist areas on walls or ceilings. Is there a weird dark spot on your ceiling? This can often indicate that a plumbing pipe is leaking water, damaging the ceiling and drywall below. This kind of discoloration can also affect walls and floors. Not only does this damage your paint and wallpaper, but the moisture creates an ideal environment for mold and mildew, which can be health hazards. Visible mold growth. 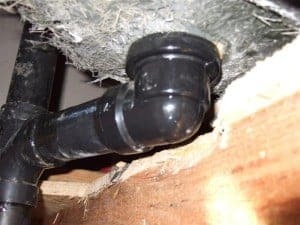 When mold grows in a particular area, and returns after you’ve cleaned it, it can often mean that a plumbing pipe leak is creating a continual source of moisture. Unpleasant odors. Mold, bacteria, and other organisms grow readily in moist areas created by water leaking. These organisms tend to give off unpleasant musty odors, due to gases produced by their metabolisms. 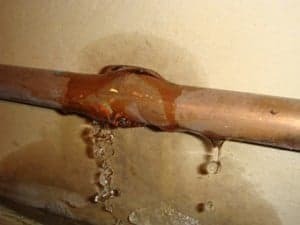 If you’ve noticed any of these problems in your home, it’s a good idea to call in a local NJ plumber for water pipe leak repair. Plumbing pipe leaks can happen for several different reasons, and a skilled plumber can quickly identify the underlying problem. Rust and corrosion. Many older homes have cast iron or, more commonly, copper plumbing pipes. Metal pipes have a surprisingly long lifespan, but they’re still ultimately susceptible to corrosion and deterioration. 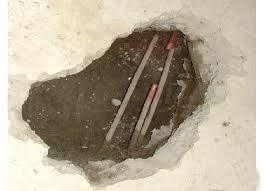 Old metal pipes should be removed and replaced where possible. Shifting foundations. Your home’s foundation will naturally shift slightly over time, a process that can loosen or displace plumbing pipes and pipe joints. Frozen pipes. 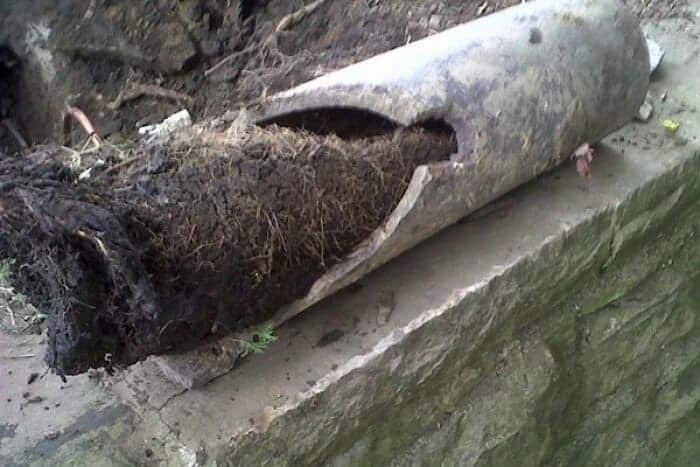 Water expands when it freezes, and this can crack or burst your pipes. Professional leak repair generally starts with leak detection, especially when you’re not sure where the leak is located in your home. Plumbers use specialized professional equipment to quickly and accurately pinpoint the source of water leaks, so they can use the appropriate tools and techniques to fix the problem for you. Professional plumbing leak repair offers long-term solutions. When a good plumber fixes a leak in your pipes, you won’t have to worry about having the same problem again. For local 24-hour water leak repair here in northern NJ, call us any time at A1 Sewer & Drain. Cracked or broken drain pipes can leak, just like other water pipes. Leaky drains carrying wastewater away from a shower or sink can be slow to appear. In many cases, one of the first things homeowners notice is a dark or discolored area on a wall or ceiling below the drain pipe. These areas can sometimes have mildew or mold growing on them, along with a musty odor. As with sewer pipes, drain pipes generally leak from holes or cracks, with can result from degradation of old metal pipes. Loose joints and fittings can also create places where water can escape the pipe. Water leaking from a drain line is best repaired by a professional plumber. Trying to fix it yourself can cause more problems than it solves, considering that drain lines are sometimes difficult to access. Professionals have the right skills, tools, and knowledge to get it done correctly the first time. At A1 Sewer & Drain, we’re North NJ’s leading pipe leak repair experts. 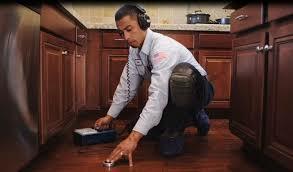 We’ve available 24 hours a day, 7 days a week, for all your plumbing leak repair needs. Our team of experienced plumbers are experts in finding and fixing leaks, especially in hard-to-reach sewer and drain pipes. We’re always available for same-day service in less than an hour, getting you the repairs you need with minimal hassle. For NJ’s best emergency sewer leak repair, drain leak repair, and other repair services for water leaking from your pipes, call us any time at A1 Sewer & Drain.